What makes Open Door different? We aren’t afraid to show emotion. Expect to see people clapping and raising their hands during worship. We are passionate in praising the God who came and died for us. Pastor Sowards conversationally shares practical truths from God’s Word in a way that is easy to understand and relevant to our daily lives. He provides thought provoking and engaging messages based on the Bible. Music at Open Door is meaningful, encouraging, uplifting, and fun. The style of music can change from week to week but our focus on worship always stays the same! Don’t be too surprised when, while you are learning a new song, you hear an old familiar song that morphs into some contemporary Christian music, only to be topped off by an old tune thats been your favorite for years. Come as you are! There is no dress code for our worship services. You will find some people dressed casually and some dressed up. The only thing that matters to us is that you are comfortable. There’s parking in the front and in the Animal Shelter’s parking lot next door. It’s an easy walk to the main entrance and someone will be waiting to greet you at the door. Plus in the rear of the building for the handicapped there is a ramp for easy accessibility. By now, you’ve already been greeted by some of the great volunteers standing at the door waiting on your arrival and you’re standing in the lobby. The restrooms and the doors to the sanctuary are to the right. Enter the double doors into the sanctuary for an amazing service. Our services last about 90 minutes focused around two main elements: music and a message. Services start on time so make sure you get there in plenty of time to find a seat. Sit where ever you feel comfortable, introduce yourself to those sitting near you, and make some new friends. Our services include passionate worship, prayer and more than just a “feel good” message. We are here to worship God with no shame. Our services last about 90 minutes focused around two main elements: music and a message. Services start on time so make sure you get there in plenty of time to find a seat and get comfortable. Sit where ever you feel comfortable, introduce yourself to those sitting near you, and make some new friends. 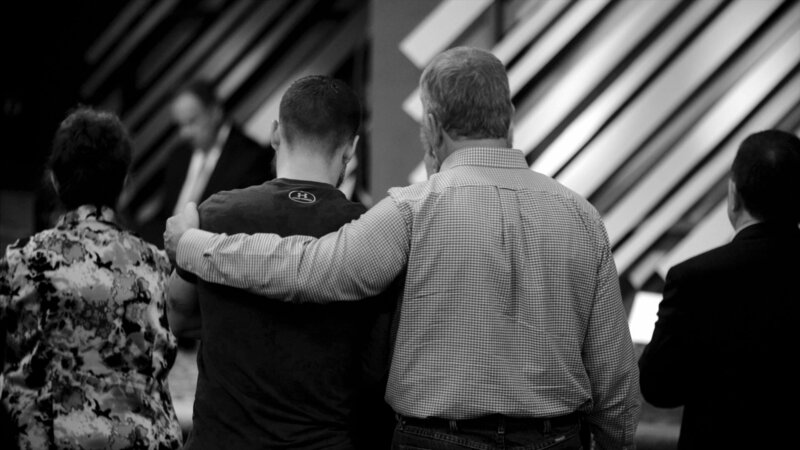 Our services include passionate worship, prayer and more than just a “feel good” message. We are here to worship God with no shame. What options are there for kids during service? School after worship concludes. Our nursery is staffed during the entire service for little ones still in diapers. Wednesday Night Options: We have Children’s Church for ages three to eleven. Children will attend the Open Door Worship service in the main sanctuary, and will then be dismissed to BLAST after worship concludes. How do I check my children in? Children and Youth will be dismissed from the main sanctuary after worship service. You can send them to the lobby where they will be met by our BLAST staff. If it is their first time going to BLAST, please join them in the lobby and one of our volunteers will get your information and your child’s before they join their classmates. After service is over, your child will be kept in class until you check them out from the BLAST pick up area. What about babies or toddlers? For the little ones still in diapers, our nursery is staffed on Sunday mornings and your baby can be dropped off as soon as you arrive at church. The nursery is available for use on Sunday night and Wednesday night but is not staffed. We do have a TV with the live service feed so you can still enjoy service. Pastor Sowards regularly speaks, but occasionally guest ministers will speak as well. Our missions director speaks on the first Wednesday of each month. During our monthly BLAST (youth) service, which is the last Wednesday of each month, a different minister from Open Door, speaks a special message just for our youth. How big is Open Door? What if I need help or information? If you have any questions at all you can send us an email through our contact page or send us a message through our Facebook page. One our staff will get back to you within a day! Can anyone come to Open Door? Everyone is welcome at Open Door! Whether you’re looking for a home church or just want to stop by for a visit, we would love for you to join us in worship! Not at all! Some do wear their “Sunday best” but you’re also likely to see someone in slacks and a casual shirt, or even jeans. We believe the most important part is showing up, ready to worship God. Absolutely not. While we do receive an offering, we would never expect a guest (or anyone for that matter) to give and you won’t be put in a situation to be embarrassed for not giving. So, feel free to come and just enjoy being in service with us. Will I be called out during service? Absolutely not. You will never be singled out or embarrassed during your time here so feel free to come and enjoy service! We’d love to have you join us for service! You are welcome at any of our three services each week. While it’s not necessary, feel free to send us a message and let us know you are coming so we can expect you!